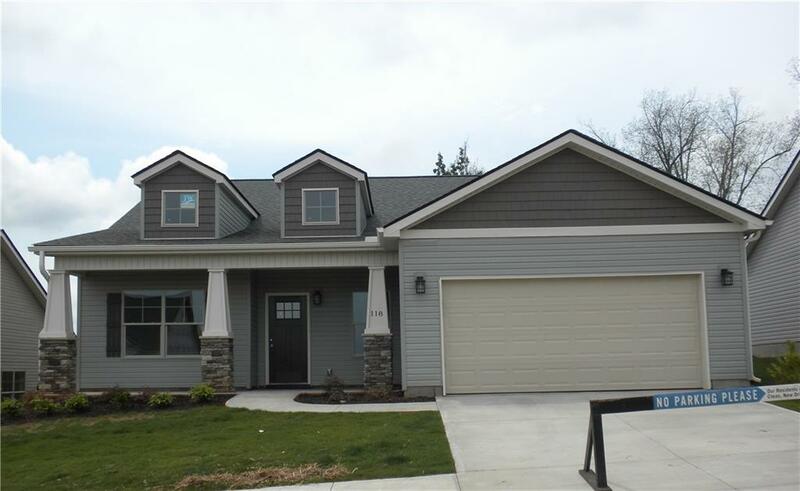 The Falls at Meehan offers this new construction, Craftsman style, single level home on a great lot. This home offers open floor plan with laminated wood throughout main living are, flex room, large spacious kitchen/dining/living area with vaulted ceiling. Kitchen offers large granite island, java maple cabinets w/soft closed dove tail drawers, Stainless steel appliances. Master bedroom has trey ceiling, large walk in closet, walk in shower, separate tub, double vanity with cultured marble top. The extra Flex room in the front can serve as an study, formal living or dining. Craftsman style interior doors and trim. Great landscaping packing with sod included. perfect rocking chair front covered porch. This home is located 4 miles from Clemson University and within walking distance of Historic Downtown Pendletons shops and Restaurants.